Swiftseal Mastic Sealant Applicators offer many services all carried out to a highest standard. 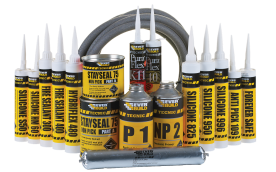 Swiftseal have for many years been at the forefront with new sealant techniques and are always searching for up and coming innovative sealant materials, which places Swiftseal in a prominent position when it come to service and satisfaction. The Swift Family are widely recognised as being one of the longest serving Sealant and Mastic Applicating families in the region. From modest domestic to prestige high end commercial projects. Swiftseal mastic applicators have been delivering to mass industry since 1987.. Correct material choice is essential. At Swiftseal mastic sealant applicators, we believe in tried and tested materials, but also recognize the importance of new modern high end products. These materials are now playing an integral part in helping architects design and construct with a variety of sealant materials. .